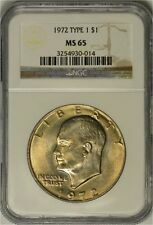 4 DIFFERENT PRESIDENTIAL DOLLARS NGC. Local pickup only. I n gr ea t condition. IMPRESSIVE PIECE! SUPER RARE IN PL! IT TRULY IS GOLDEN! 2017~P MINT. These rolls are heads/tails rolls which are sought after by collectors of coin rolls. Get these rolls now before they go up in price. HEADS/TAILS ROLL. GOD BLESS THIS NATION AND ALL WHO SERVE TO PROTECT IT! P and D mint marks. includes Richard Nixon P & D, Ford P & D and the final coin for 2016, Reagan P & D.
Random Year in the 1970's. You will receive opportunities to collect limited and historic coins and collectibles - most of which will never be available to the general public! We will do whatever it takes to create a thoroughly enjoyable buying experience. Two nice gold colored coins. She helped develop the Agena spacecraft for the Gemini and Apollo Programs. 2019~P MINT. These rolls are heads/tails rolls which are sought after by collectors of coin rolls. Get these rolls now before they go up in price. 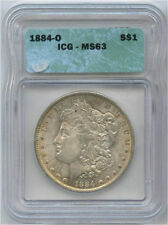 1878-S MORGAN DOLLAR CHOICE/NEAR GEM!! BEAUTIFUL LIGHT GOLD TONE!! NO RESERVE!! 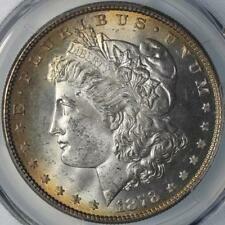 THIS LOT: 1878-S MORGAN CHOICE OR NEAR GEM UNCIRCULATED. LIGHT GOLDEN TONE OVER ALL SURFACES. WHEN YOU ENLARGE THE PHOTOS YOU WILL SEE WHAT LOOKS LIKE "STREAKS" ON THE OBVERSE LADY LIBERTY. THESE ARE ROLLER MARKS FROM THE MINT WHICH WAS PREVALENT IN 1878 BECAUSE THEY WERE NEW DIES, ROLLERS AND PRESSES. The result is an everlasting 24KT Gold Plated coin collectible of ultra-high quality. Profile of Susan B. Anthony design on the obverse and an eagle clutching a laurel branch in its talons, displayed over a landscape of the Moon on the reverse. Ulysses S Grant Presidential Gold Dollar 2011 P Unc. 20 Available. U.S. Grant uncirculated Presidential gold dollar from fresh factory sealed roll. Please add $.50 for U.S. shipping. Presidential Gold $1 Full Collection Vol.1&2 NEW NEVER OPENED. Shipped with USPS First Class Package. 1852-P US $2.50 GOLD LIBERTY COIN L4138. Great strike and luster on this rare date. Tough date to find in this condition. These rolls are heads/tails rolls which are sought after by collectors of coin rolls. Get these rolls now before they go up in price. 2015~P MINT. HEADS/TAILS ROLL. GOD BLESS THIS NATION AND ALL WHO SERVE TO PROTECT IT! These rolls are heads/tails rolls which are sought after by collectors of coin rolls. Get these rolls now before they go up in price. 2016~D MINT. HEADS/TAILS ROLL. GOD BLESS THIS NATION AND ALL WHO SERVE TO PROTECT IT! Interestingly within the teal, Liberty’s nose, eyes and forehead are outlined in a subtle red. About our DMPL's and Toned Morgan’s. We use an internal grading system consisting of 4 categories, Top Tier 1, Tier 1, Tier 2, and Tier 3. 4 of the 5 coins are uncirculated. Starting at. 99 with no reserve! You never know what I will dig up in Western Pennsylvania! (in a good way). Your pals from Coins and More Coins. 1976 BICENTENNIAL. Year 1976, Mint Marks are Randomly Chosen. This milestone coin, never released to the public, is exclusively available here! She helped develop the Agena spacecraft for the Gemini and Apollo Programs. 2019~D MINT. These rolls are heads/tails rolls which are sought after by collectors of coin rolls. Get these rolls now before they go up in price. Any fool can lose money & I'm no fool. I apologize for this, but I have no choice. FREE Trial! 1879-P US $5 GOLD LIBERTY COIN L4137. 1977 Moon Landing Apollo 11 . Year 1977, Mint Marks are Randomly Chosen. GENUINE 24 KARAT GOLD PLATED . george washington gold dollar Error Coin. Shipped with USPS First Class Package. 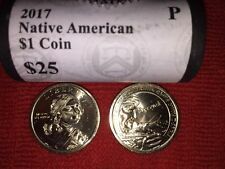 One coin is and error coin and I will be sending another coin to compare. You will get a total of 2 coins. One is an error and the other is not. The year and date on one of the coin is starting to over lap the E, on the side of the coin. Rare coin. 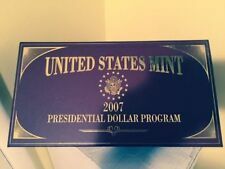 gold coins us 2007 US Presidential Dollars (8) in original Wood Case excellent c. Shipped with USPS Parcel Select Ground. SOUGHT AFTER HEAD ON ONE END TAIL ON OTHER. 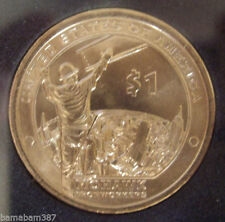 2000 P LIBERTY SACAJAWEA Gold Color One Dollar Coin. Shipped with USPS First Class Package. 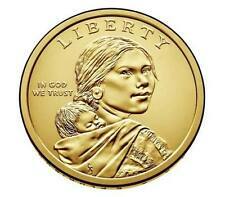 The obverse of the coin (Sacagawea portrait) was originally designed by Glenna Goodacre. (Thomas Rogers designed the eagle on the reverse of the coin but did not receive a special commission because he was already an employee of the US Mint.). Sales surpassing 10 million annually and is highly coveted by investors and collectors. Contains 1/10th Troy oz. of pure Gold in BU condition. You will receive your coin or coins in a individual a sealed coin envelop. This is for an 1857 Gold Dollar graded MS63 by PCGS. The coin in the pictures is the one you’ll receive. Any questions please ask. Thanks for looking! Twenty Cents. Flying Eagle (1856-1858). Mint Errors. Proof & Mint Sets. Presidential Spouse Coins. Platinum & Palladium. Peace (1921-1935). U.S. Notes Small Size. 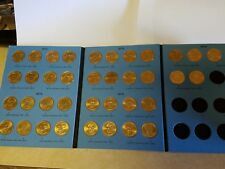 We also participate regularly in the Long Beach Coin and Collectible Show. We have a permanent space at a well know Southern California Collectibles show in the City of Industry. We also participate in the Long Beach Coin and Collectibles Expo which has recently added Sports Collectibles. 2015 Kennedy Presidential Gold $1 (D) Uncirulated 10 Avail.